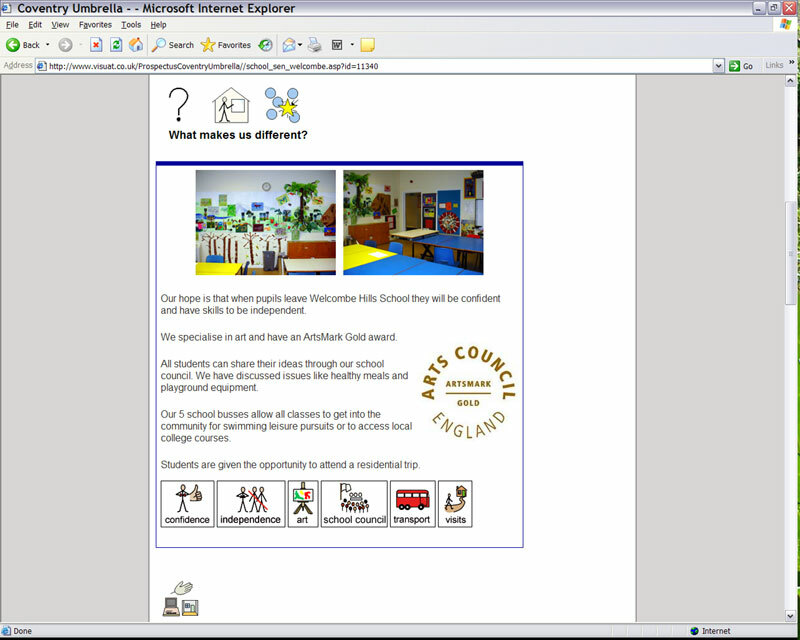 At the beginning of the Autumn Term in 2005 Jayne Locke and Louise Wood, from the Symbols Inclusion Project, visited Rose Marie Scott, the Head Teacher of the newly built Oak Wood Primary and Secondary School. The new school was not yet occupied, but Rose Marie wanted to discuss signage round the building using Widgit symbols. She had already had some discussions with the Property Services division on the Local Authority about signage on the outside the building. Jane and Louise showed Rose Marie the programme Communicate: In Print and went through some of the symbols that would be needed. It was agreed that some new symbols would have to be drawn by the Graphic Designer at the Widgit Development Office and we discussed what these needed to look like. We also talked about how big the signs on doors should be and what colour borders they should have. Back at the Widgit office Jayne and Louise discussed the new symbols needed with Cate Detheridge and the Graphic Designer. The new symbols were drawn and Rose Marie was sent paper copies of all the symbols for approval. Widgit then sent the symbols in the appropriate format to the signage company who were making the signs. The school was officially opened in May 2006. Some examples of the signage can be seen above. 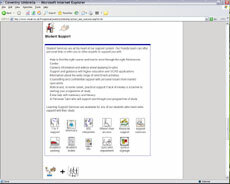 This project began in 2005 and was a partnership between Widgit Software and Warwickshire's Integrated Disability Service -Teaching and Learning: Visual Impairment Team. 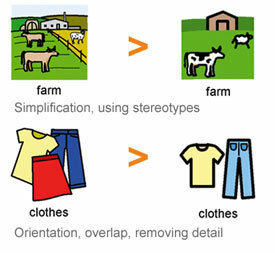 The aim of the project was to produce a set of modified symbols appropriate for use with learners with a Visual Impairment. Warwickshire's VI team and a nation wide group of experts in the field of visual impairment and health formed a consultative group to advise and evaluate the work as the project progressed. 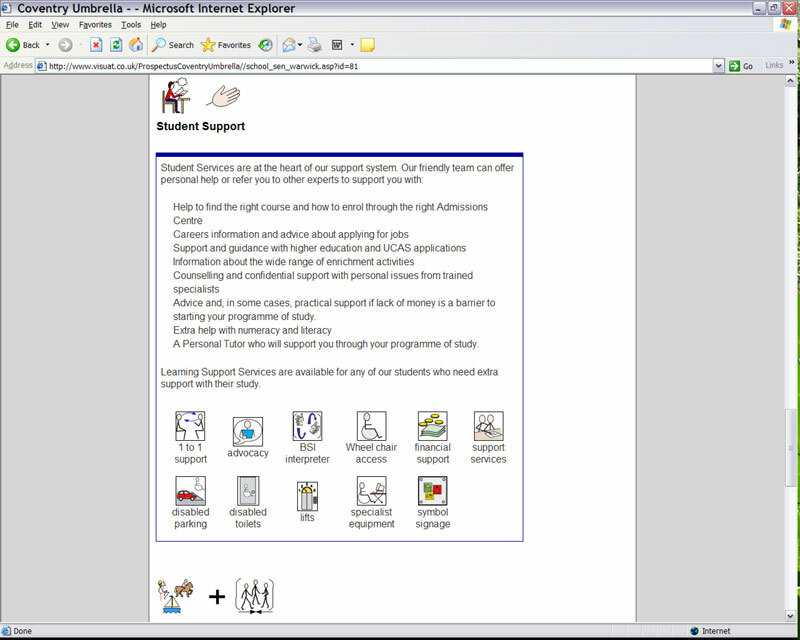 This was a joint project between Widgit Software and Coventry and Warwickshire Connexions in 2006 to make a symbol version and symbol supported version of the Learner Entitlement booklet for 14-19 year olds. 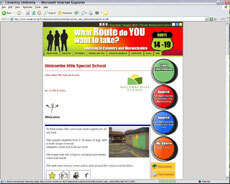 This was another joint project between Widgit Software and Coventry Warwickshire Connexions, to provide Year 11 students in mainstream and Special Schools with a reduced text, symbol version and symbol supported version of a Learner Survey in Spring 2007. Symbol support has been added to the route 14-19 online prospectuses for Special Schools in Coventry and Warwickshire. 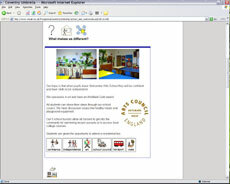 Easy read simplified versions of the main prospectus pages were created with symbol icons to summarise the content.